Submitted by arny on October 02, 2018. It's time for a new surf music festival in the Netherlands! On November 16, DB's in Utrecht is the place to be for all surf music fans! 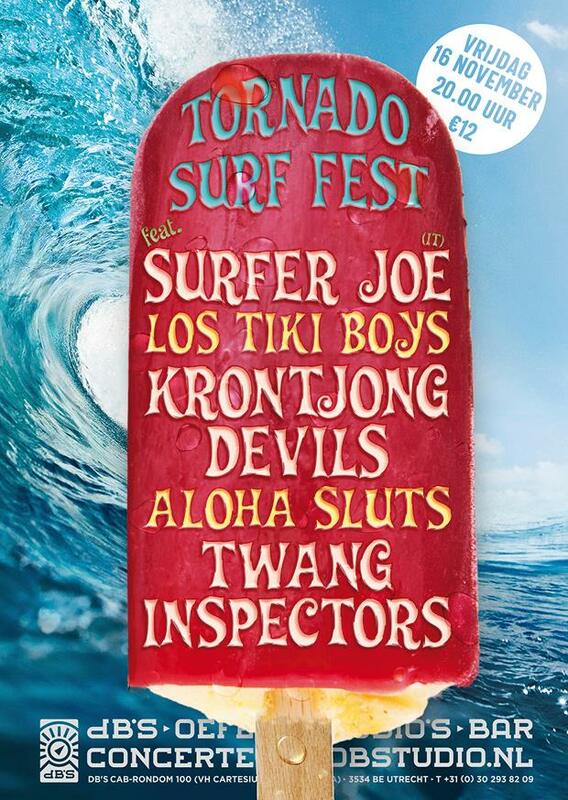 It offers a superb line up with Surfer Joe (the international surf ambassador from Italy), Los Tiki Boys (with Treble Spankers guitar player Marcel Kruub), Krontjong Devils (the oldest surfband of the Netherlands), Aloha Sluts (surfabilly) and Twang Inspectors (masters of the twang guitar). If you show up in your wetsuit you have free admission and free drinks!